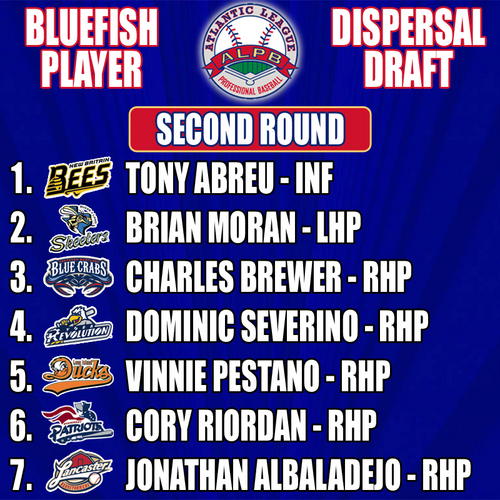 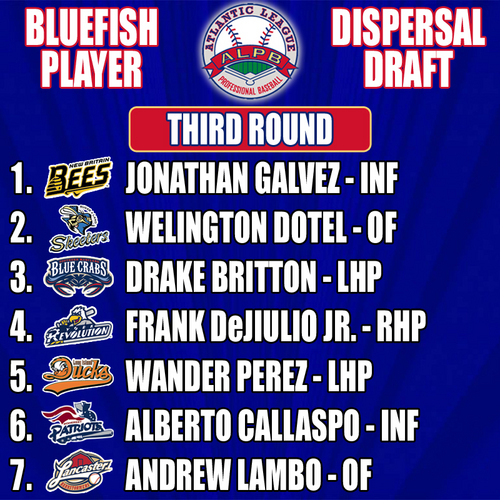 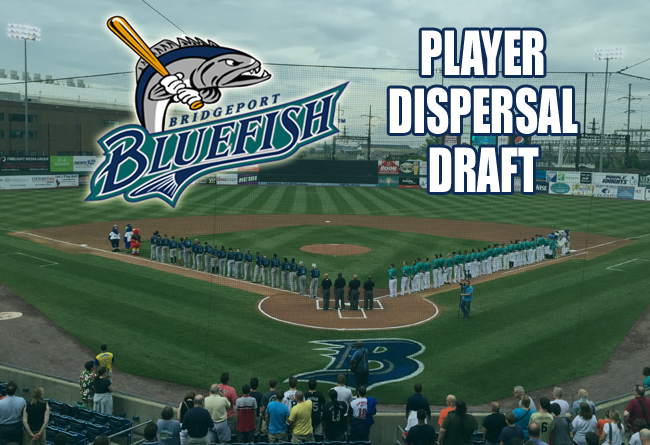 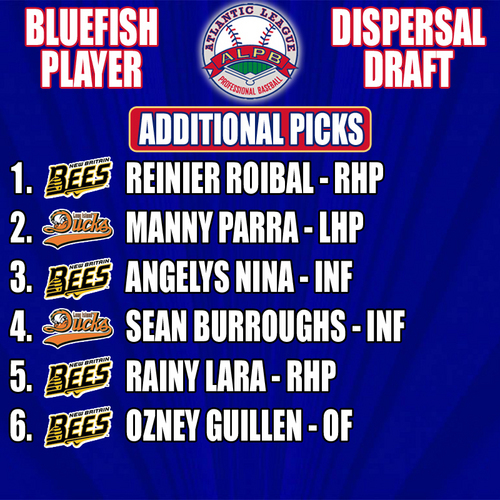 (Lancaster, Pa., Nov. 1, 2017) – The Atlantic League of Professional Baseball Clubs today held a Player Dispersal Draft for ALPB clubs to obtain the 2018 negotiating rights to players whose rights were controlled by the Bridgeport Bluefish. 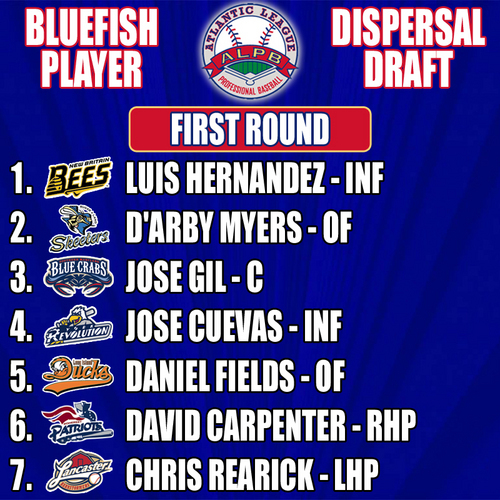 The Dispersal Draft began shortly after 10:00 a.m. EDT on Wednesday following opening remarks from League President Rick White. 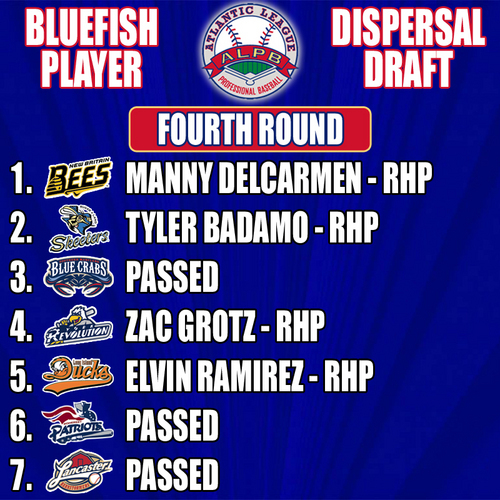 Draft order was based on 2017 overall regular season won-loss record, with a tie between the Sugar Land Skeeters and Southern Maryland Blue Crabs determined by a coin flip.